By now, the news of Elon Musk’s plan to blast humanity into space to colonize Mars isn’t even news anymore. Call it crazy or call it ambitious, Musk has a grand vision and following the development of this vision is surely going to be interesting. We still have leagues to go until we’ll get to hear of the first concrete materialization of his dream, though. So, until then, let’s revise just what exactly it is that the famed magnate is trying to accomplish. But, wait, what exactly do we need salvation from? Elon Musk isn’t entirely sure about that either. 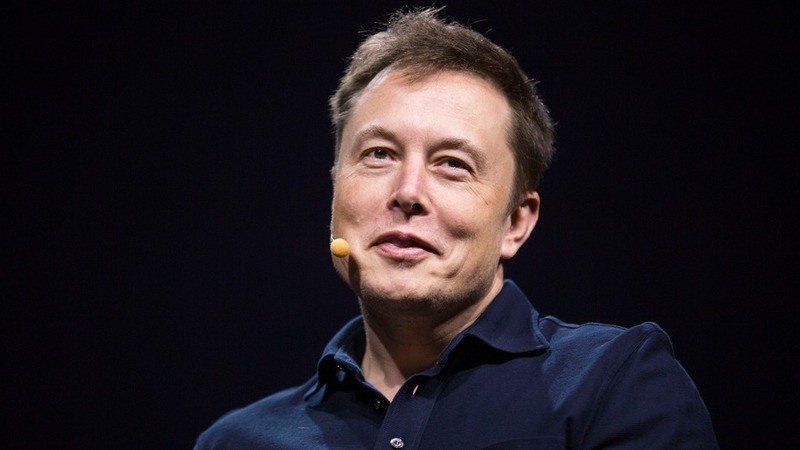 All he knows is that “someday soon, there will be an extinction event on Earth.” Musk spoke about this likelihood and his ambitious colonization plan at the International Astronautical Conference in Mexico. Using this scenario as fuel, Musk argued that when the doom will eventually hit us all, we can either roll on our backs or fight it head-on. Musk’s idea of withstanding an impending apocalypse is by turning humans into a “multiplanetary species.” In other words, through Mars colonization. This isn’t a surprise announcement, as Musk has been long toying with the idea of sending humans to settle on other planets. Through a collaboration with SpaceX, Musk promised that he would send a Dragon capsule on the Red Planet as early as 2018. In 2025, he hopes that the first humans tasked with this responsibility would step on Mars and kickstart the project. One of the first questions that might pop up in your head is why is Musk so keen on having humanity live out the rest of its days on the Red Planet? For starters, it’s not exactly like we can afford being picky about any of it, can we? It’s very difficult to find planets that have similar living conditions to Earth and that can be adapted to sustain life. Considering all the given options, Mars is the most suitable. Its size is similar to Earth’s, it’s not too far away from the Sun or too close (like Venus, which is essentially one giant steaming rock), and the passing of time is as close to Earth’s as it can end. Musk noted that the team did consider other locations, most notably moons. They pondered on Saturn’s and Jupiter’s moons before concluding that they are too far away. As for our own moon, Musk admitted he wasn’t opposed to the idea, but the Moon is both much smaller in size and situated on a wonky passing of time. One day on Earth equates to 28 days on the Moon. Ultimately, Mars seems to be our best shot. Musk humorously sustained his point of view by even going as far as to say life on Mars would be “fun” due to the lower gravity which would make bouncing on the surface possible. With a lot of baby steps. In truth, in its current state, SpaceX isn’t ready to launch any humans for practical purposes in space anytime soon. Currently, it has at its disposal the Falcon 9 rocket, which could technically survive a journey all the way to Mars, but it’s not large enough to transport any actual humans. This is because for a trip to Mars, SpaceX will also need to work on space that could ensure the transport of cargo. After all, the future colonizers will need something to live by during the trip. In present, the rocket ship known as Falcon Heavy is the closest we have to an actual means of transportation to Mars, though it will need to take a few trips back and forth to be able to deliver all that intended cargo. Falcon Heavy isn’t anything new in NASA’s portfolio. It’s been a project in the works for a few good years, being intended to launch all the way in 2013. However, for whatever reason, the date keeps getting pushed back. The September 1 incident in which one of SpaceX’s rockets exploded at launch isn’t helping with the scheduling either. At the time of this article, the desired date is estimated around the first quarter of 2017. However, the ultimate project is known as the Interplanetary Transport System, a spaceship which is intended to be able to carry either 100 people or 100 tons of cargo. It can allegedly journey even beyond Mars. What’s the problem with this fantastic idea, then? The fact that, currently, it’s all it is: an idea. SpaceX has yet to go into any realistic details regarding what it will be like. It’s understandable if you have your doubts regarding the likelihood of survival once the first humans settle down on the Red Planet. Curtsy of the various artificial habitats, living on Mars really IS possible, but only for a limited amount of time. In order to develop into a full-blown colony, the astronauts from Mars would require resupply missions, which would cut a gap in the pockets of NASA worth a few good million or billions of dollars. Yes, money is the biggest issue. Something as ambitious as this does need copious amounts of money and, most importantly, it needs a lot of reassurances that the invested money will actually be put to good use. The ultimate goal of Musk’s colonization plan is to create a self-sustaining settlement which is, unfortunately, even most costly. The only viable way NASA would be able to afford sustaining something so costly would be through space tourism, which is yet another thing that requires lots of funding. So, when you really think about it, it’s all a vicious circle. Musk intends to make a trip to Mars a real scenario for everyone. If you want to travel to Mars, you should be able to do it. Of course, where we stand (and likely for a while after the project kicks off) this is impossible. The intended cost is equal to the average price of a house in the United States. It’s safe to say that it’s not a “service for all” kind of situation. The solution, says Musk, is considerably reducing costs by making use of renewable materials for the spaceships. But just like everything else in this grand plan, we have miles to go until we can claim this all to be possible. At the present time, Elon Musk’s Mars colonization plan is nothing more than an ideal. In order to materialize it, it needs a lot of money, a lot of time and effort, and certain scientific breakthroughs that can solve some of the most pressuring obstacles standing in its wake. Musk dreams of a day when humans will be able to live on Mars but, until then, we don’t even have the means to embark humans on the journey there.